Fairfield offers high-quality programs in art and music, beginning in the elementary schools and extending through high school. Music classes teach the fundamentals of music, with ample opportunities for performance through singing and participation in instrumental groups. Dance is incorporated with music for students who participate in elective show choirs, which begin in grade 7. Advanced students may earn college credit by enrolling in AP Music Theory and scoring well on the AP Music Theory examination. Art classes develop skill and appreciation of a wide variety of genres, including drawing, painting, sculpture, photography, and other electives. The history and cultural importance of art is incorporated throughout art instruction in all grades. Advanced high school students may earn college credit by enrolling in Advanced Placement Art and submitting a portfolio for review. Fairfield’s Performing Arts programs include choral groups, bands, orchestras, and Thespian presentations. These groups can boast of state, regional, national recognition, and commendations. 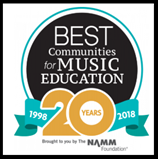 Fairfield City School District was recognized as one of the Best Communities for Music Education by the NAMM Foundation in 2019. Our music groups regularly participate and win Grand Champion honors in invitation-only events and competitions. 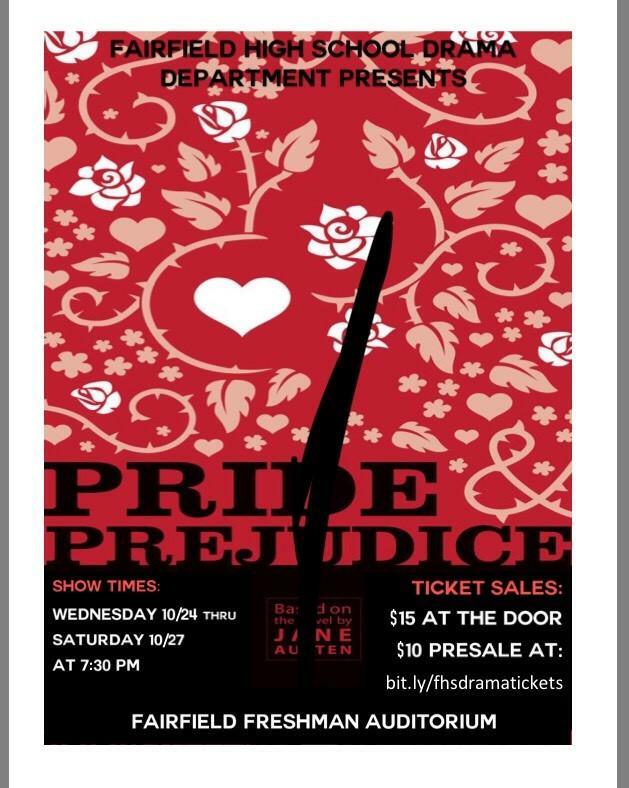 Our Thespian (drama) students are regularly selected for awards. Upon completing their general music requirement in fifth grade, roughly 50 percent of Fairfield’s sixth- through eighth-graders continue to participate in instrumental, chorus classes, and performing groups. 20 to 25 percent of Fairfield’s High School students continue these musical experiences. The result of such active participation and commitment among students, staff, and parents (The Tempo Club) is an unsurpassed level of achievement. In grades 5-12, the Fairfield Schools offer students opportunities to join 13 concert, marching and jazz bands, seven symphonies and orchestras, nine concert & show choirs, glee clubs and the Thespians. Whether in concert or competition, these groups – from the Fifth-Grade Glee Club and Middle School Rhythm Express to the High School Chamber Winds and Wind Ensemble – sustain Fairfield’s tradition of excellence and our district’s state and regional reputation as a leader in the performing arts. The Tempo Club is an organization for the top music program in Ohio. It is a group of parents, students, and teachers that supports all aspects of the Fairfield City School District music program in grades 6 through 12. This support includes chaperoning, fund-raising, photography, sewing, building, equipment moving, and anything else that may be needed.